TimescaleDB: An Open-Source Time-Series SQL Database — Optimized for fast ingest, complex queries, and scalability, Timescale is based around PostgreSQL. LinkedIn's Strategy for Migrating to Its Own Database — LinkedIn’s strategy for migrating one of their internal services (Babylonia) from using Oracle to Espresso, LinkedIn’s own NoSQL database system. M202: MongoDB for DBAs - A Free Online Course — After completing this course, you should have a good understanding of how to administer a MongoDB installation in production. Exploring Presto and Zeppelin for Fast Data Analytics and Visualization — How WalMart use SQL query engine Presto and a look at its performance in some common use cases. Principles of Sharding for Relational Databases — Opinions on sharding range from “it saved us” to “it was the worst mistake we made. This post looks at the key factors that play into sharding and how you should approach whether it’s right for you. Did Google Send the Big Data Industry on a 10 Year Head Fake? — Even in 2010 Google was recognizing the limits of non-relational systems, and began to course correct seven years ago. 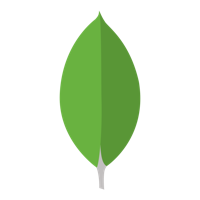 MongoDB Performance Issues: Fact or Fiction — A look at some of MongoDB’s common performance issues and where things sit now with the latest version, 3.4.6. Real-Time MySQL Performance Monitoring — Using MySQL monitoring tool Monyog to measure key metrics. Cassandra vs. MongoDB — Considering the differences between Cassandra vs. MongoDB as the data store for your next project. TimescaleDB vs. Postgres for Time-Series Work — The first in a series of performance benchmarks comparing TimescaleDB to other databases for storing and analyzing time-series data. Ask HN: Are ORMs Overkill for SQL Databases?